Most of us are wired to eat three meals a day, with five- to six-hour intervals between meals. Medical studies show that fasting for about three days or even a week may help improve the immune system or general health condition. 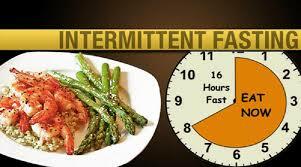 A new diet trend called intermittent fasting integrates fasting into the daily eating schedule. The practice of intermittent fasting or the eat-and-fast plan varies, according to practitioners. But there are two main approaches. The first is to limit calorie intake to 500-600 calories for two days a week and eat normally for five days a week. The second is to limit the eating time period to within an eight- to ten-hour window. For example, you may schedule your meals between 9 a.m. and 7 p.m and fast outside those hours. While this eating pattern may help lose pounds, experts say it can have detrimental effects on a person’s health. It can trigger or worsen eating disorders. Intermittent fasting may promote the unhealthy binge-and-purge routine. You can eat almost anything during the feeding state but may feel guilty and ashamed afterwards for overeating and overindulging. If your mental and emotional state is fragile, this may lead to or worsen eating disorders like bulimia, wherein one binges on food and then purges. This can have serious effects on your health. It can increase stress and anxiety. Studies show that hunger can increase the stress hormone cortisol, leaving a person angry and craving something good to eat. Most intermittent fasters try to live off caffeine, but too much of it can increase anxiety and stress. You can develop intolerance to certain foods and suffer inflammation. Fasting leaves you hungry, which prompts you to eat whatever you want later. Your “break-the-fast” diet most likely consists of gluten, dairy, soy and artificial sweeteners. These are reactive food that can contribute to a leaky gut and serious health conditions, such as food intolerances, gastric ulcers, diabetes and esophageal and colorectal cancer. You may have sleep problems. People practicing intermittent fasting often complain about feeling restless before going to sleep. Food may be the reason for this. If you eat refined and processed carbohydrates, like white rice, during dinner, you are more likely to experience blood sugar crashes, which can interrupt sleep. Making changes to your diet is good to have a healthy body. But before making such changes, be sure to do your research, consult your doctor and know the limits of your body.